Practicing law since 1983 and now an AMCC neutral, Mr. Schlueter’s expertise lies in the fields of Construction Law, Construction Defect, Real Estate, Business Litigation and Personal Injury. In addition to his extensive experience in both mediation and arbitration, he is well versed in negotiated settlements and trial matters. As a founding partner of Northrup Schlueter, he led the firm’s practice in Alternative Dispute Resolution. Mr. Schlueter is both an effective advocate and a skillful risk manager who, by taking into account the strengths and weaknesses of a case, strategically positions stakeholders for maximum resolution opportunities early in the litigation process. His experience and training in mediation benefits Parties throughout the dispute resolution process, often leading to early settlement. As a trained neutral, Mr. Schlueter has fine-tuned his skills, developed through his years of litigation practice, for ascertaining the sometimes complicated agendas in a dispute, whether they be financial, emotional or, as is often the case, some combination thereof. He assists Parties in finding common ground and reaching compromises that provide for resolutions consistent with their litigation objectives while preserving the dignity of all involved. 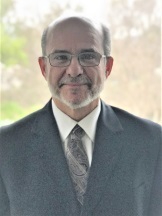 Mr. Schlueter represented clients in construction related disputes for over thirty years, including contractors, subcontractors, suppliers, construction managers and professionals such as architects and engineers, consistently achieving favorable results for his clients. Mr. Schlueter is involved in civic activities and is an active supporter of the Wounded Warriors project and a sponsor of the annual Pepperdine Law School charity golf tournament. 1982 - Santa Clara University School of Law, J.D.